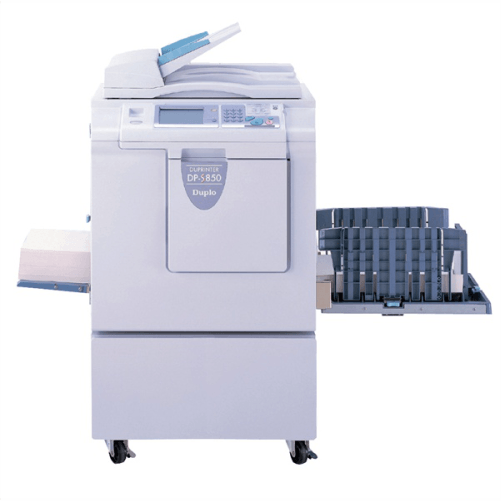 The DP-S850 is a high quality digital duplicator offering 600x600dpi resolution running at 150 pages a minute and consuming a fraction of the energy a colour copier would use. The quality makes the DP-S850 a credible alternative to offset litho printing for single and two-colour jobs, but it has a cleaner environmental footprint and is much easier to use. No heat is generated in operation which helps when running certain grades of paper including recycleds. 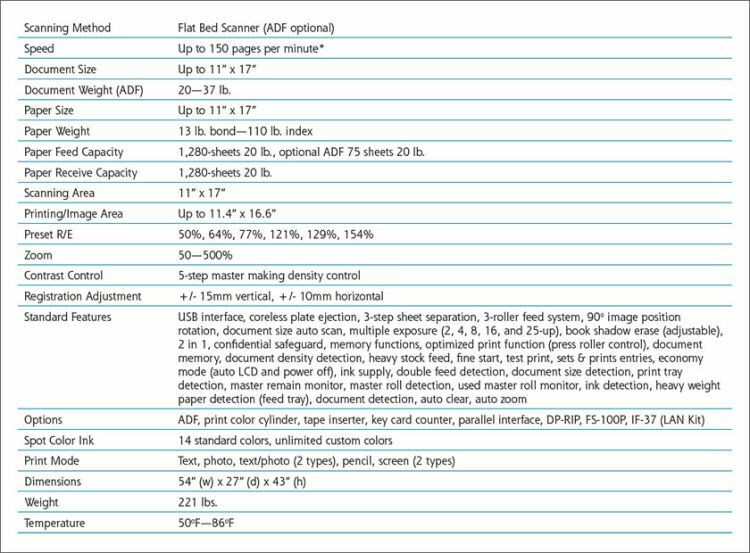 Paper size detection avoids mistakes in set up, while an LCD preview also helps reduce waste.